The demands of the law might have kept people away from the Passover Feast. But see how King Hezekiah encouraged the people to be faithful to the Lord? 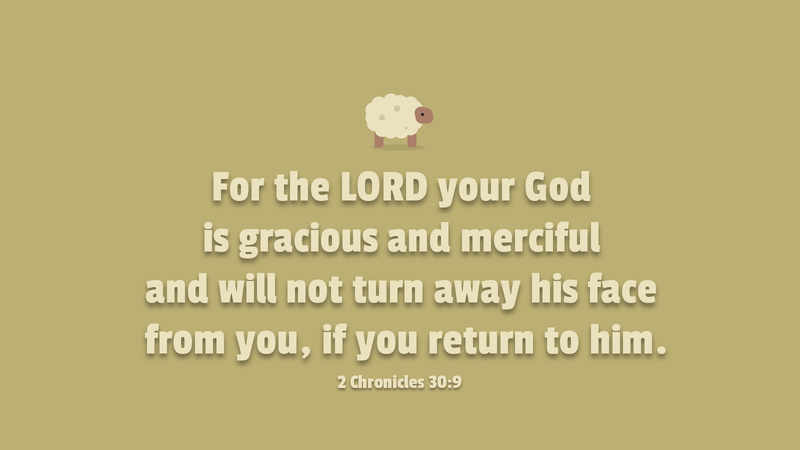 He did not judge them for their uncleanness but instead, prayed to God to forgive the people while he called them to come back to the Lord their God. The requirements of the law can also cause us to turn away from God because it accuses us of our sin and makes us wary of an angry God. So, we must always remember the place of the law and place of the gospel. We see it lived out in Hezekiah. He brokered the grace of God while he called the people to faithfulness. Indeed, it was God’s grace that enabled them to be faithful. We too, like Hezekiah, should seek the Lord’s forgiveness, remind others of his grace, and encourage them in the faith. This, after all, is precisely what we want others to do for us. So we should do the same for them. This is the law and the prophets—as well as the grace of Christ’s gospel. Prayer: Enable me by your grace, O Lord, that I may be faithful unto you. Amen.